You don’t need a gym membership to get fit. Working out at home saves money, and you can get a great workout even if you never step out the front door. While you might need to invest in some basic equipment, you don’t need a lot to start moving. Here are some of the best reasons to bypass the gym and exercise at home. 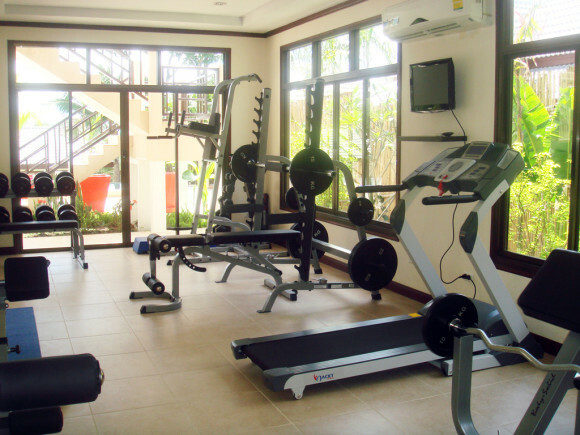 Gyms are often intimidating with their rows of complicated machines and gadgets. When you set up a home gym, you choose the gear you want. A few free weights can give you a full resistance workout, especially when you combine them with body-weight moves like squats and lunges. Add a cardio machine of your choice, such as a stationary bike, elliptical, or treadmill, and you have everything you need to stay in shape. You’re not limited to certain hours when you exercise at home. While there are gyms that are open 24 hours, but do you really want to venture out in the dark of night or crack of dawn to get in a workout? At home, you can roll out of bed and start working out, or if you’re a night owl, there’s no one to tell you can’t pump iron at midnight. In the time it takes to get ready and get to the gym, you could be done with your at-home workout. Plus, at home you’ll never waste another minute waiting for a turn on your favorite machine. Who knows, maybe you’ll even use that extra time to do a few extra reps. Many gyms, for good reason, have a dress code. At home, you can wear whatever you want. If your workout clothes consist of a bunch of leftovers from past decades, no one needs to know that but you. No one cares if you have no shirt, no shorts, and no shoes. At home, you can be comfortable. Gym patrons are supposed to cleanup after themselves. Some do. Some don’t. When the only germs you need to worry about are your own, it makes climbing onto the stationary bike just that little bit easier. When the weather’s nasty, who wants to brave the elements to go to the gym? When your exercise gear is a few steps away, you never need to miss a workout because of bad weather. The best reason to exercise at home is because it gives you ultimate control. You choose the time, the equipment, and the routine.